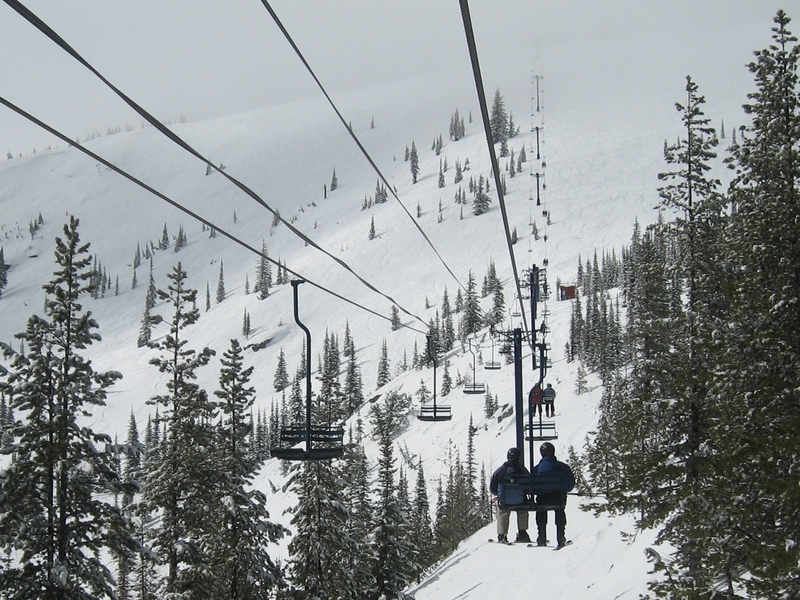 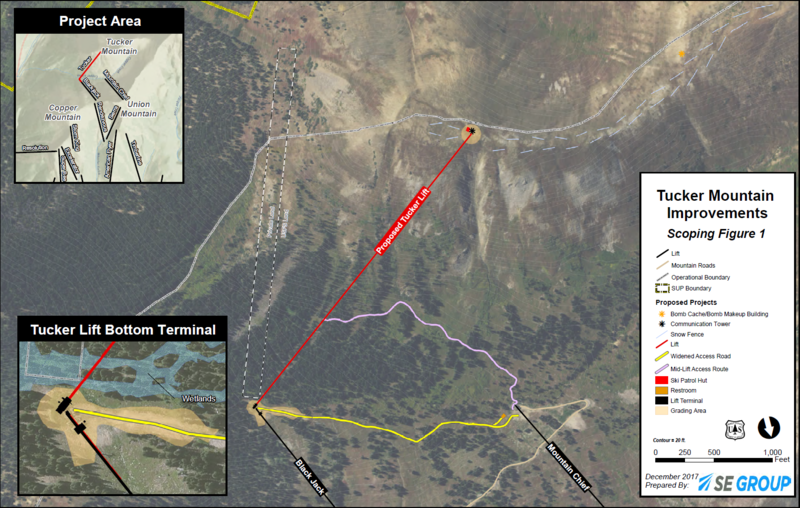 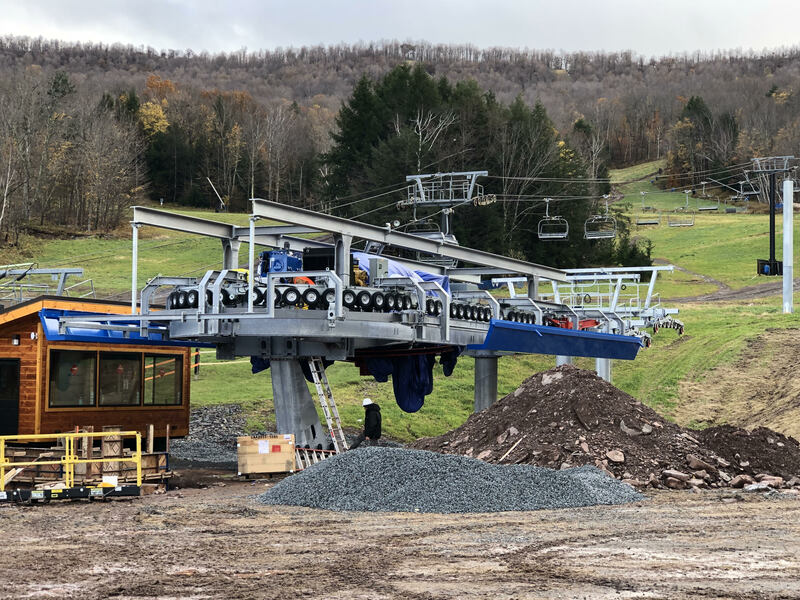 Two of the five biggest American ski areas without detachable lifts will leave the club this year. 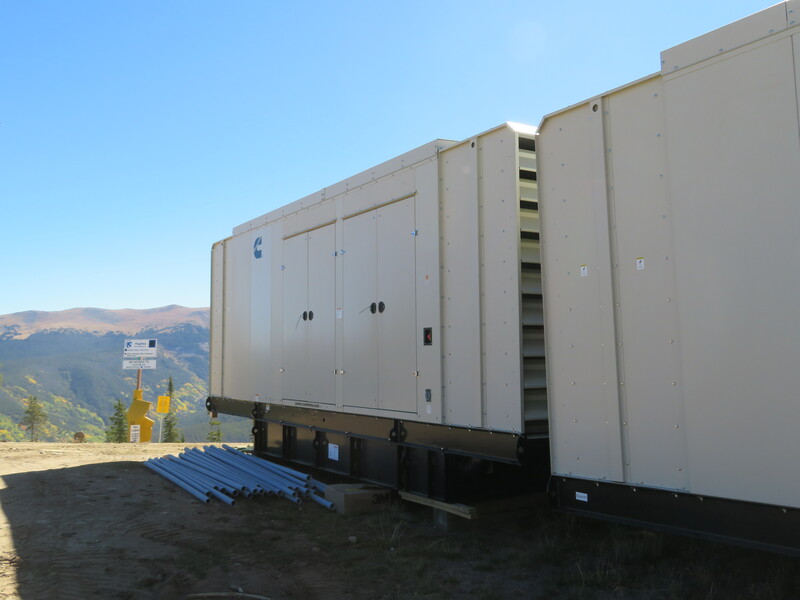 They are Loveland and Taos, both coincidentally adding bright blue Leitner-Poma high speed quads to serve as out-of-base workhorses. 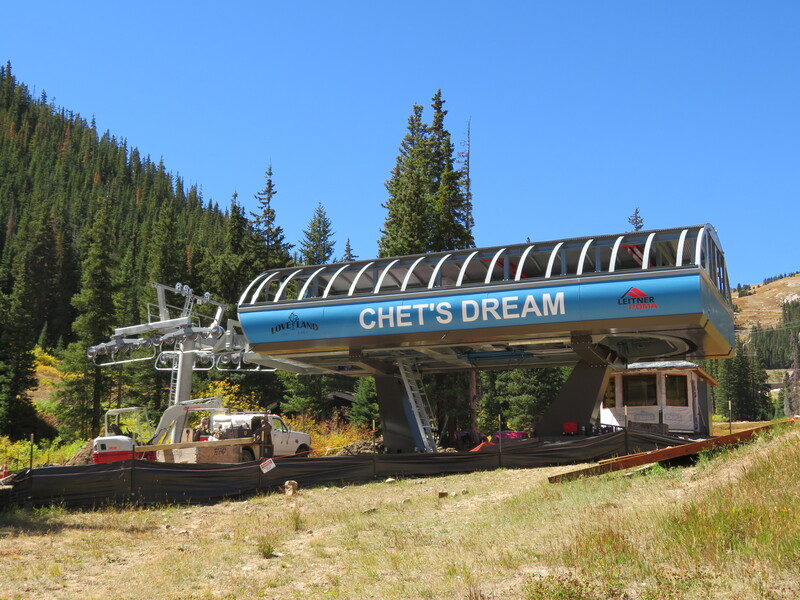 Along the Continental Divide at Loveland, the newly-named Chet’s Dream is the third chairlift to follow the Lift 1 line, carrying on the legacy of a Heron double and later a Lift Engineering triple. 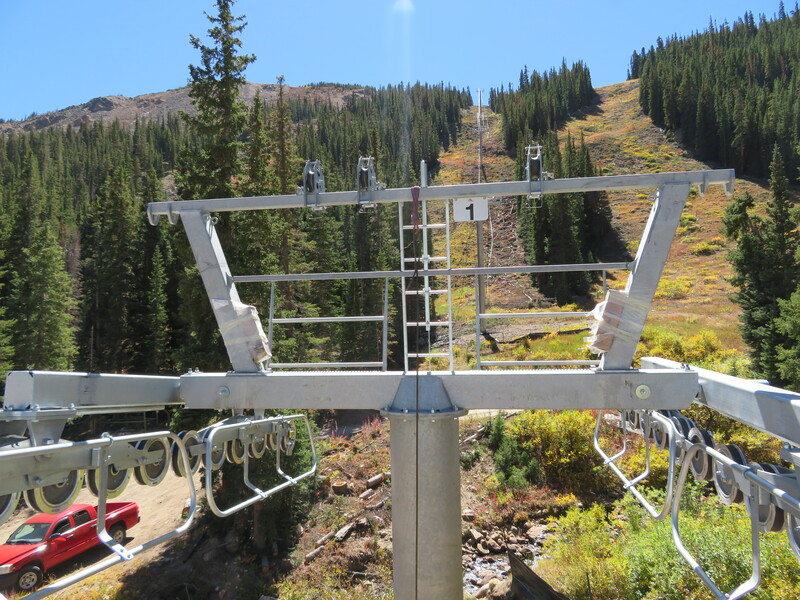 Family-owned Loveland ordered this lift early as 1 is usually among the first in the country to open for skiing in October. 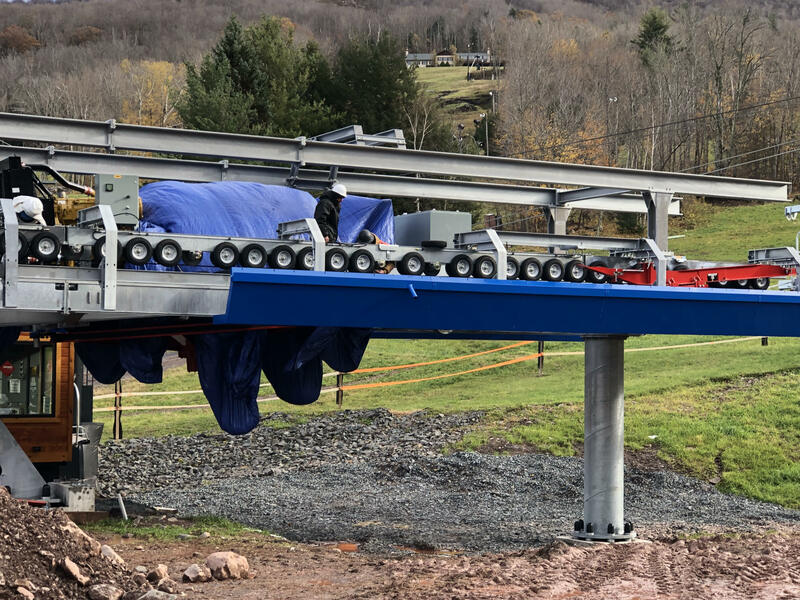 “It’s a big deal for both us and our guests,” Marketing & Communications Director John Sellers told me when I visited last week. 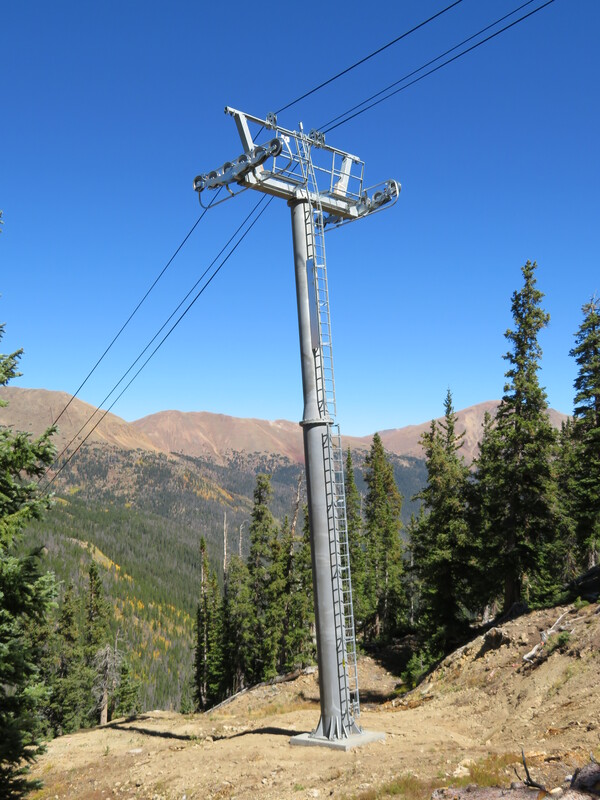 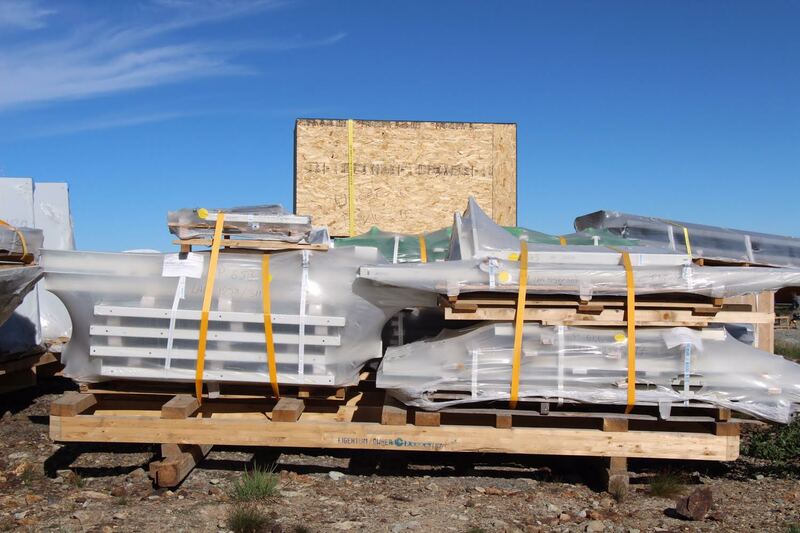 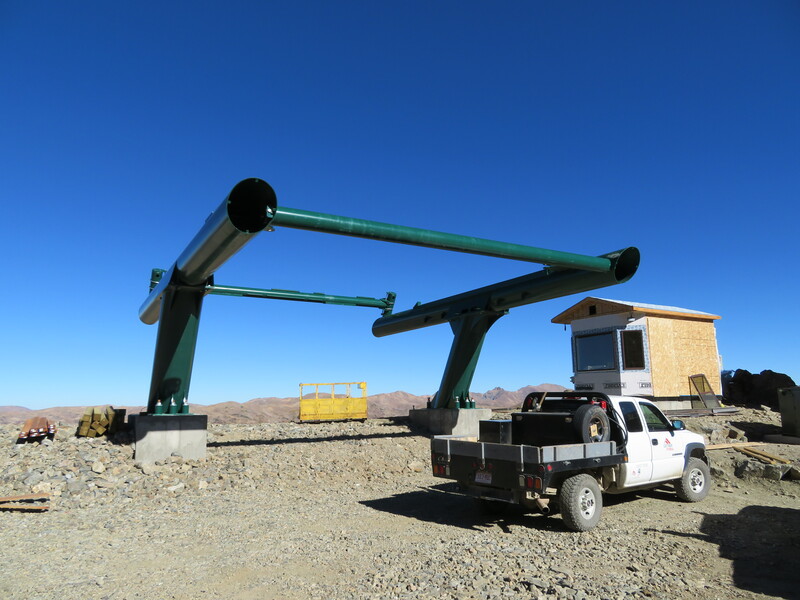 “This lift will be in operation for the next few decades and we are excited to offer the increased speed and reliability to our customers for years to come.” With towers all flown and the rope going up shortly, the project is right on schedule. 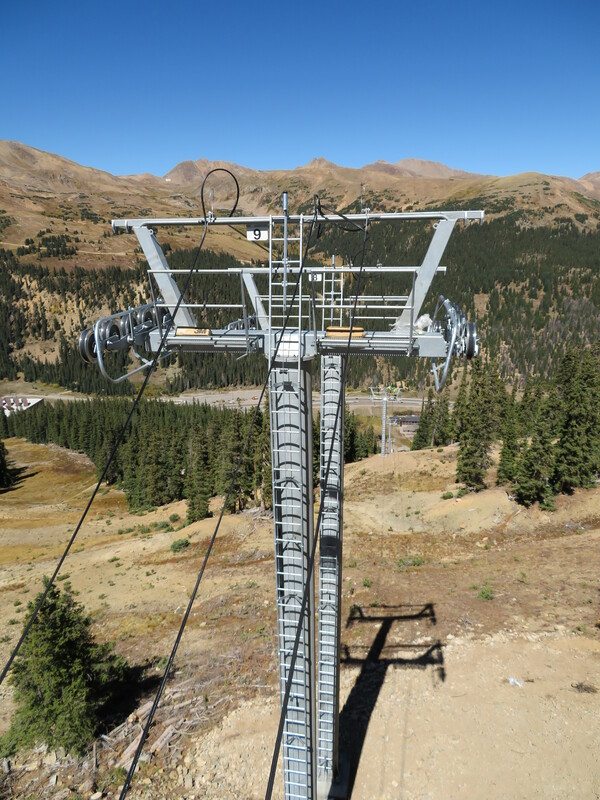 Chester “Chet” Upham, Jr. joined Loveland in the 1950s and was instrumental in building the original Lift One, the third chairlift in Colorado. 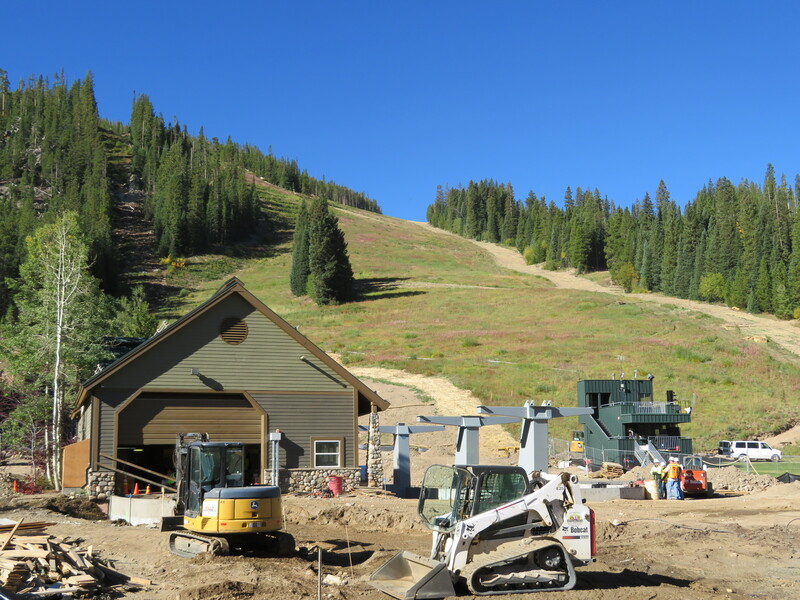 He bought out his partners in 1972 and the Upham family continues to own Loveland today. 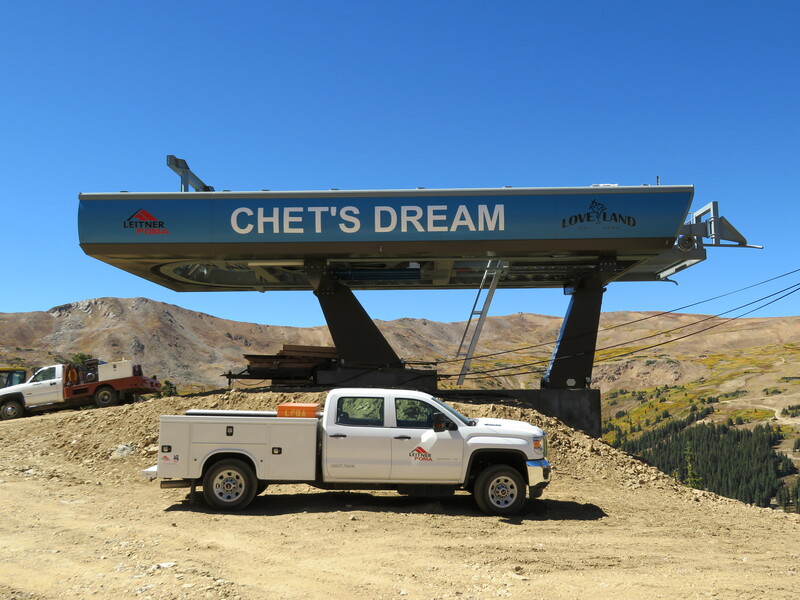 Chet’s Dream is the work of former Loveland ski patroller Terry Henningson, who submitted the name as part of a contest this spring that received nearly 3,000 entries. 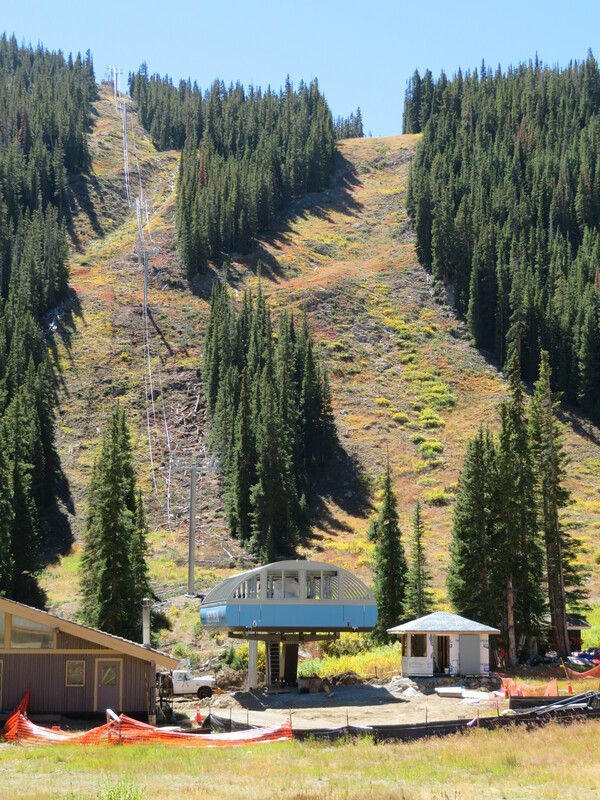 “Chet’s Dream stood out immediately as a way for us to honor a ski industry pioneer and the patriarch of Loveland Ski Area,” said John. 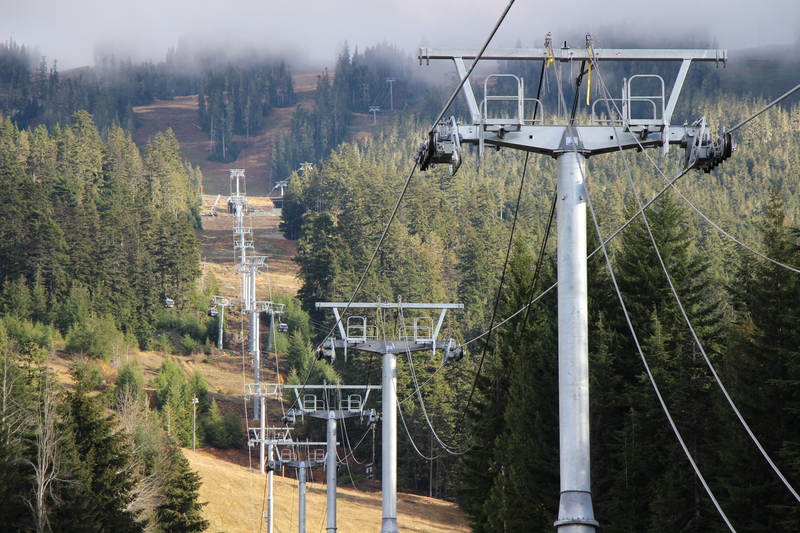 I’m told the most popular entry was Lift 1 followed closely by Lifty McLiftface. 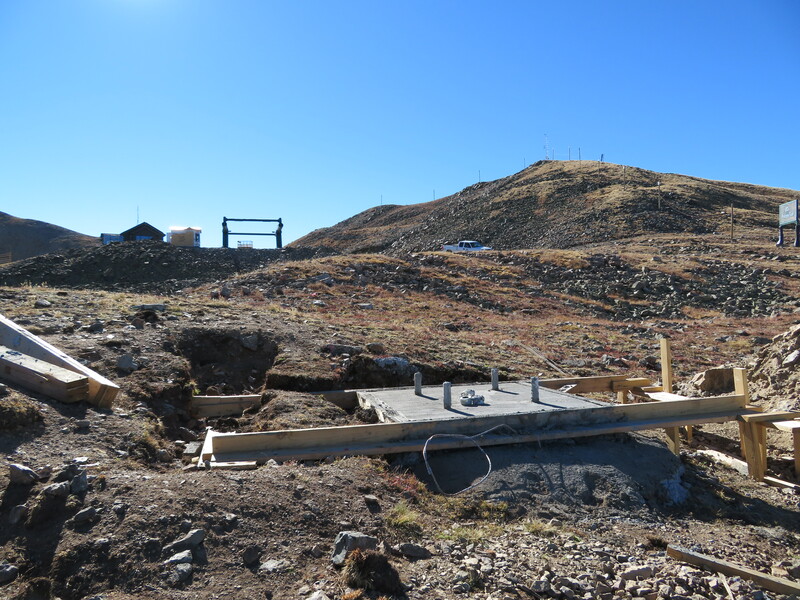 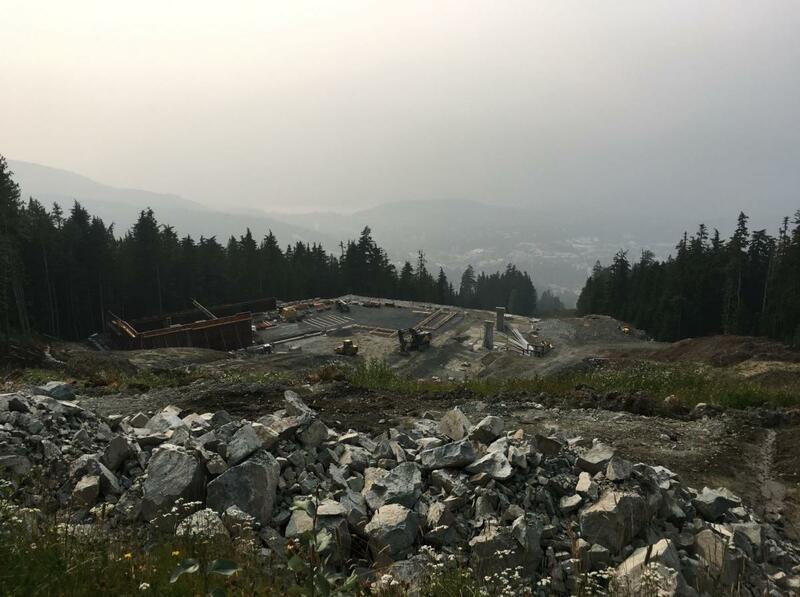 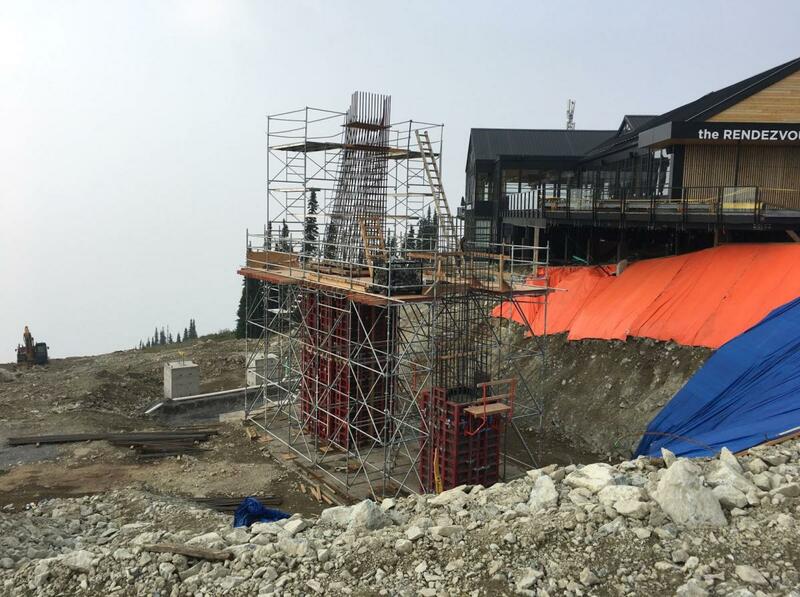 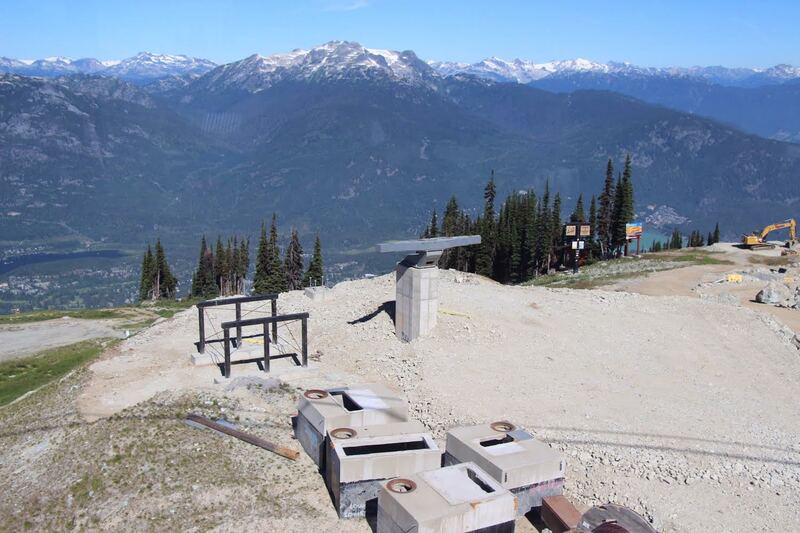 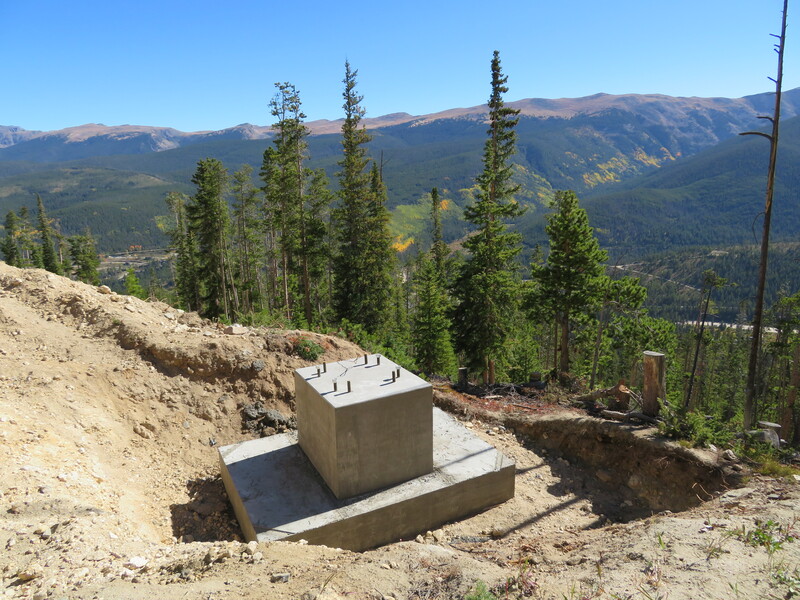 Tower 12 of A Basin’s new Beavers lift will soon be flown to this foundation with a view. 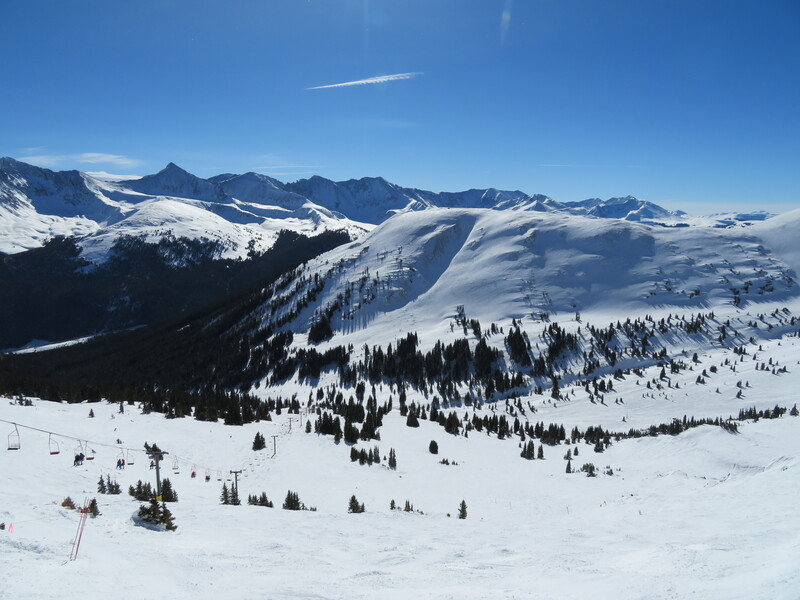 Steep chutes, natural glades, a couple cruiser trails and wide open faces. 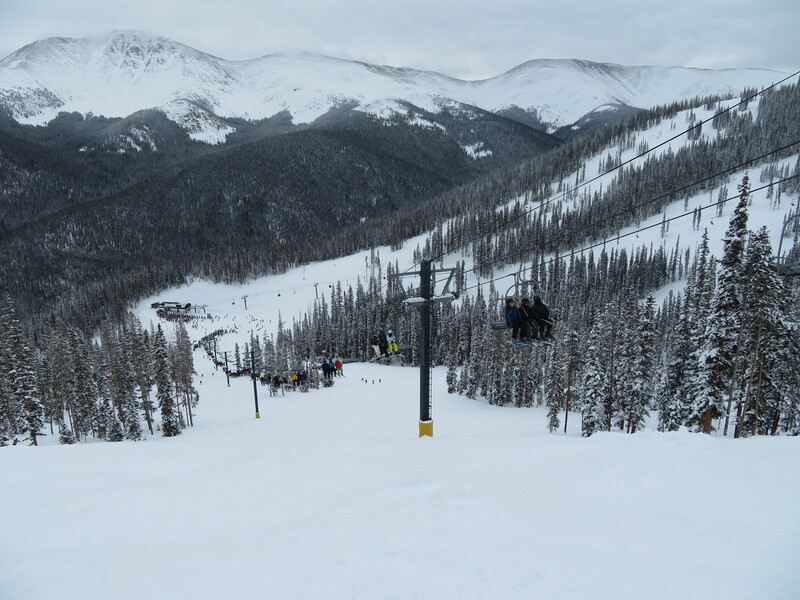 When Arapahoe Basin drops the ropes on The Beavers this year, there will be something for everyone. 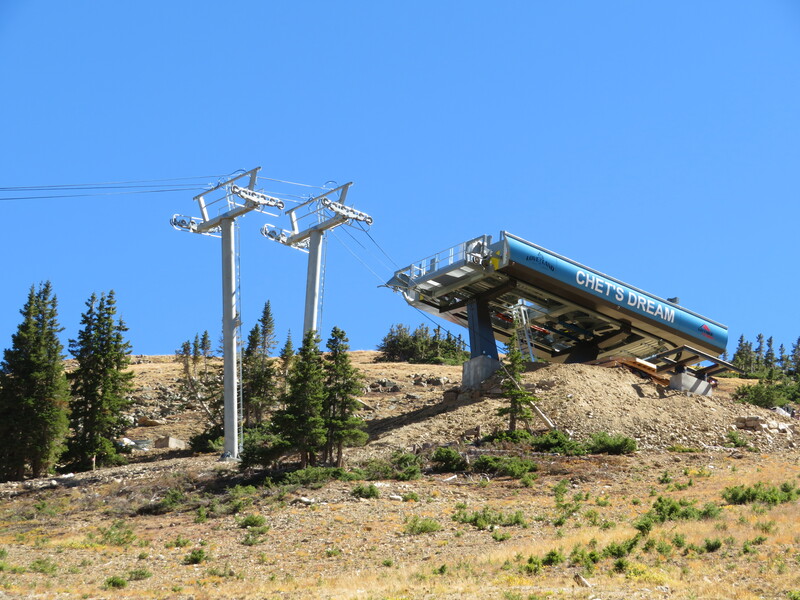 Just under 350 new acres make it the largest lift-served terrain expansion on the continent for 2018-19, ahead of Mt. 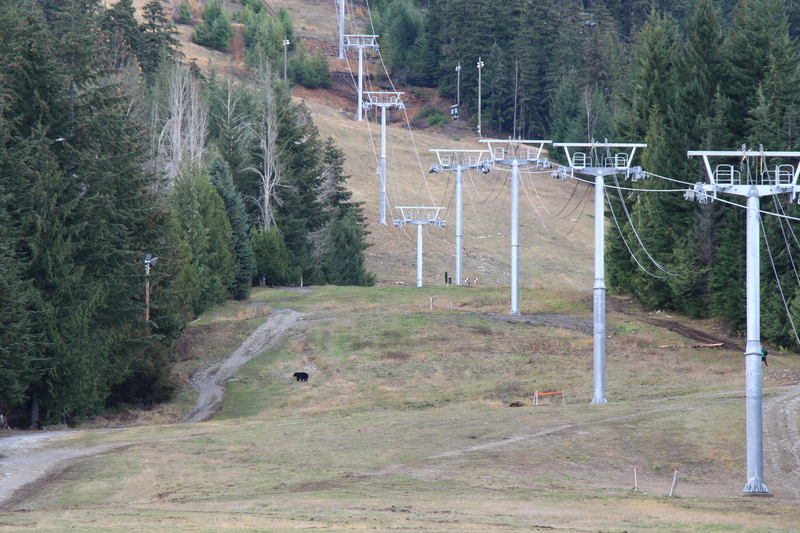 Spokane’s backside development and Hunter North. 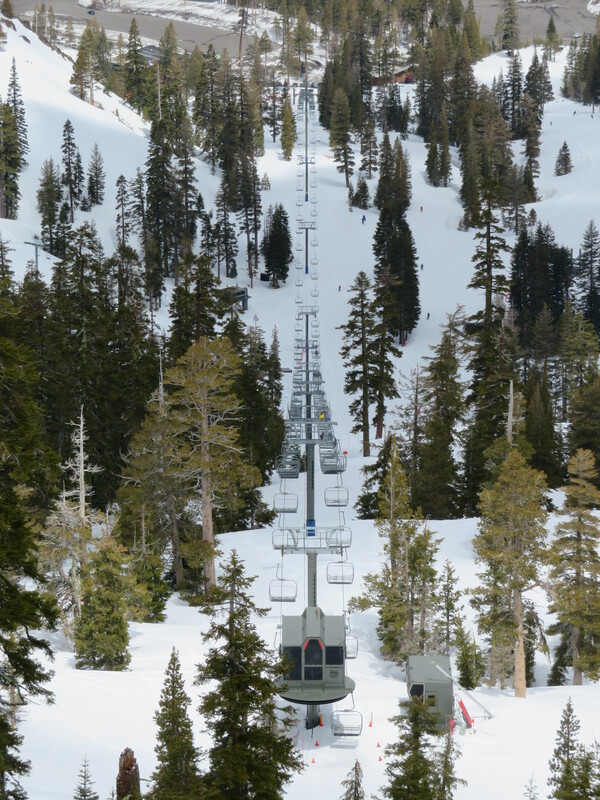 The Beavers debuted for an earn-your-turns preview last season along with the Steep Gullies, totaling 468 acres of new terrain. 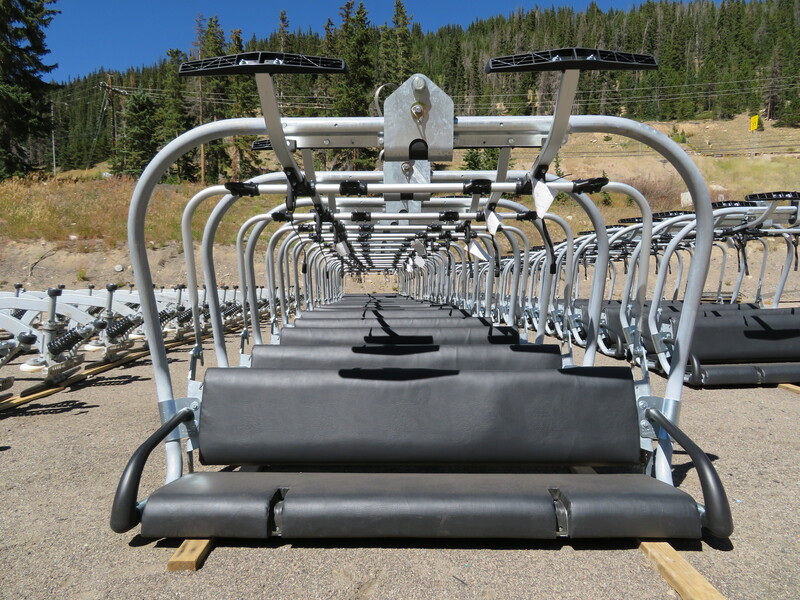 Installation of a Leitner-Poma fixed-grip quad chair, the Basin’s sixth chairlift, was in high gear when I stopped by yesterday. 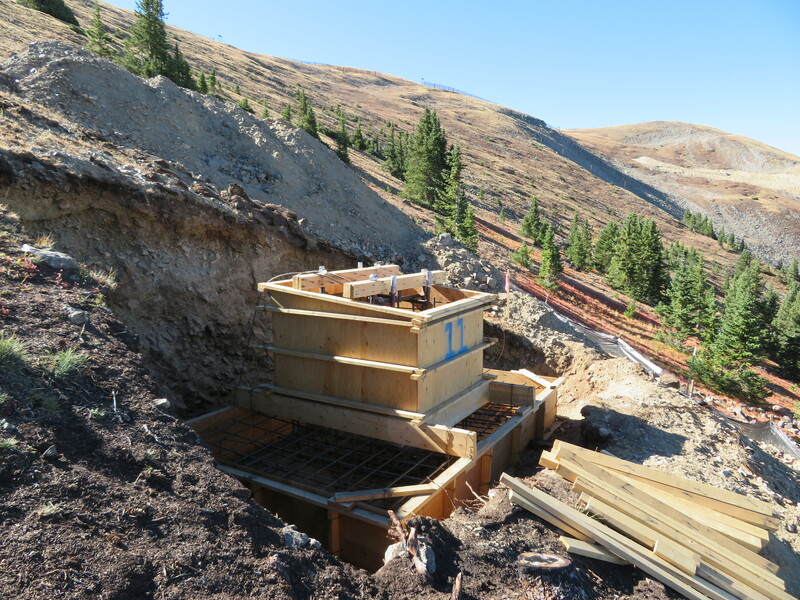 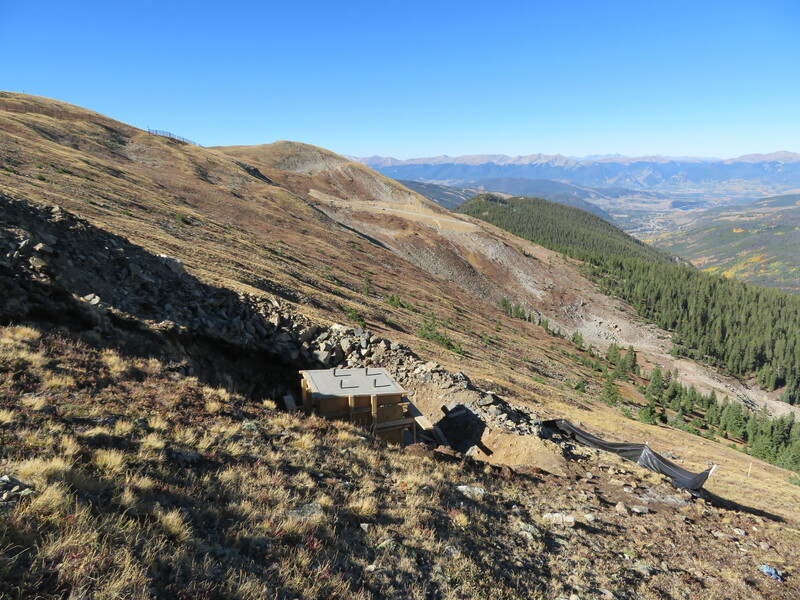 Topping out at 12,475′, The Beavers drainage is beyond beautiful and A Basin is taking great care to implement the project with as little disturbance as possible. 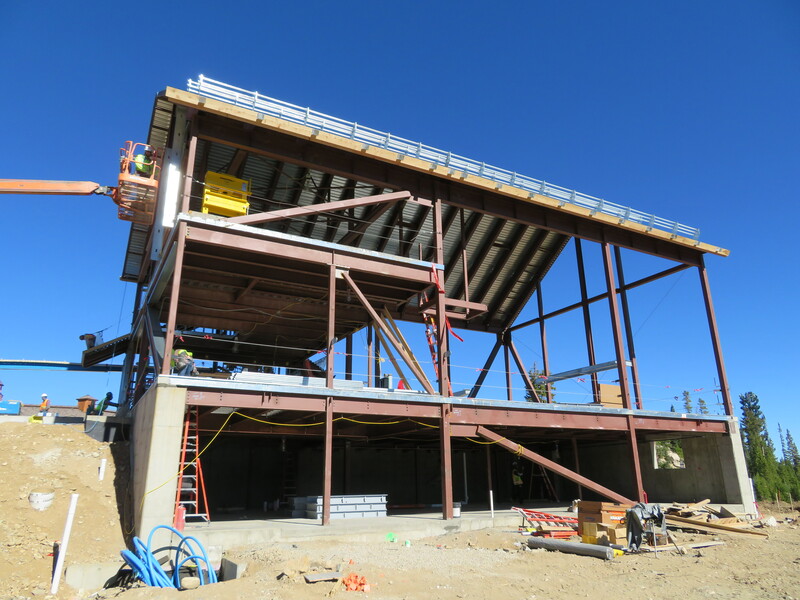 The quad drive terminal is the closest you can get by road and dozens of workers are readying the expansion by foot, helicopter and spider excavator. 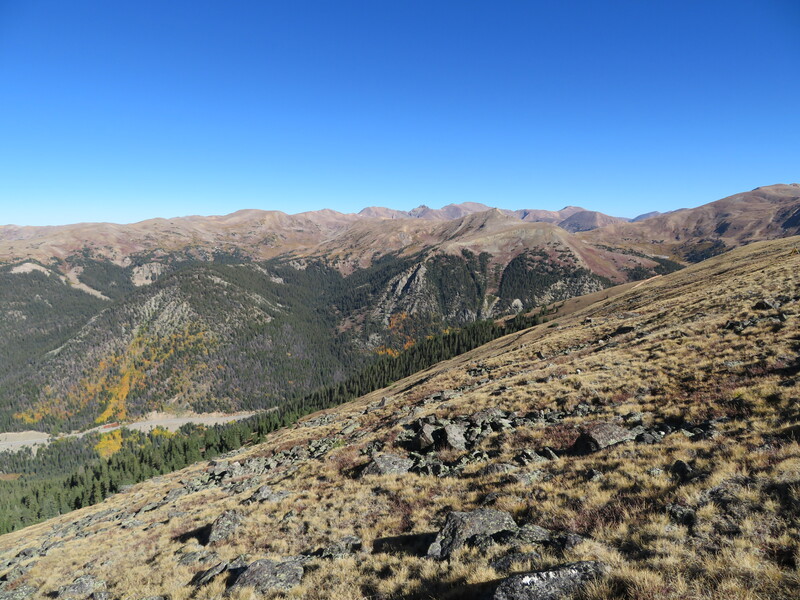 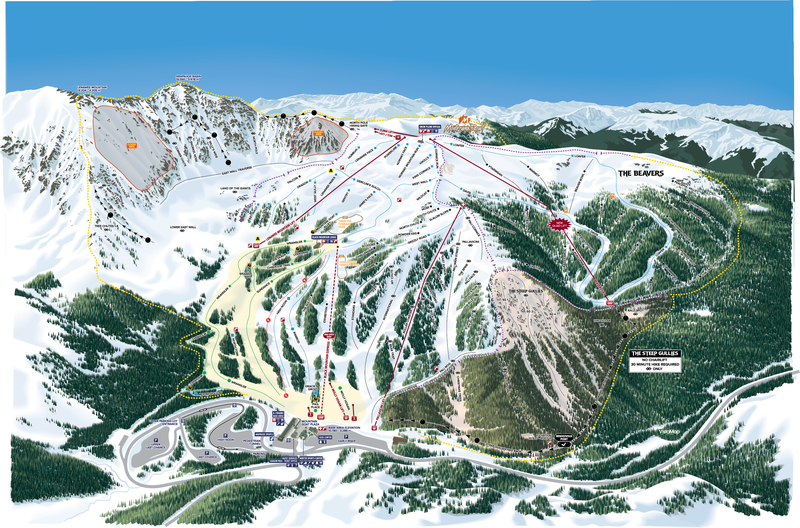 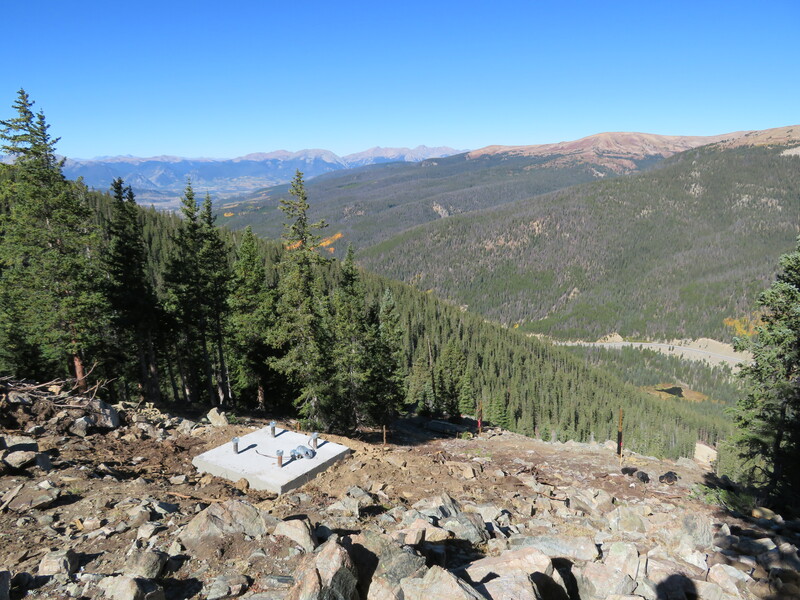 Arapahoe Basin opted to do the development carefully over two years rather than rushing it in one, and it shows. 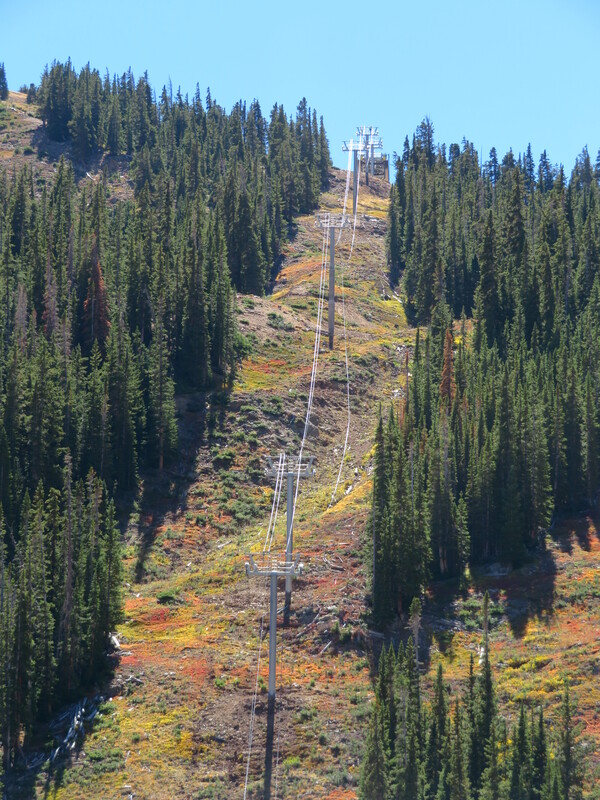 The two blue trails were traditionally cut while the rest of the new stuff is either above tree line or was thinned by hand. 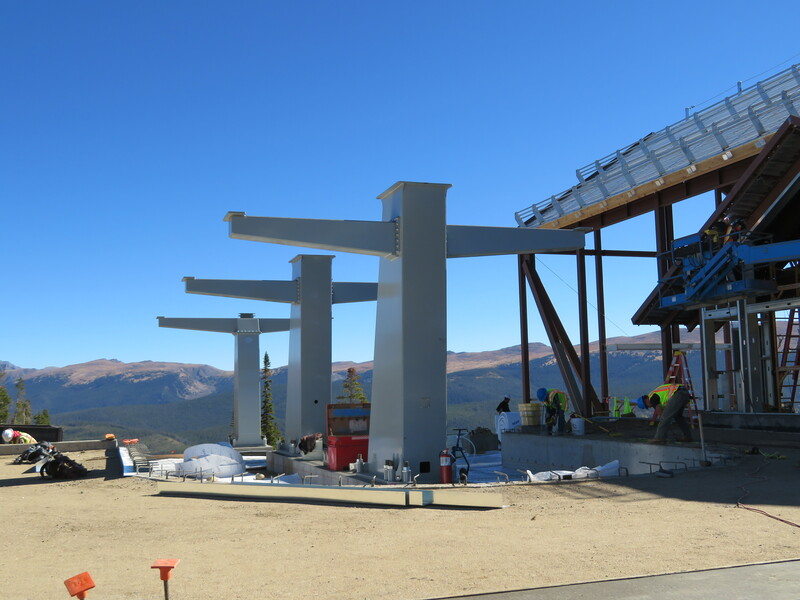 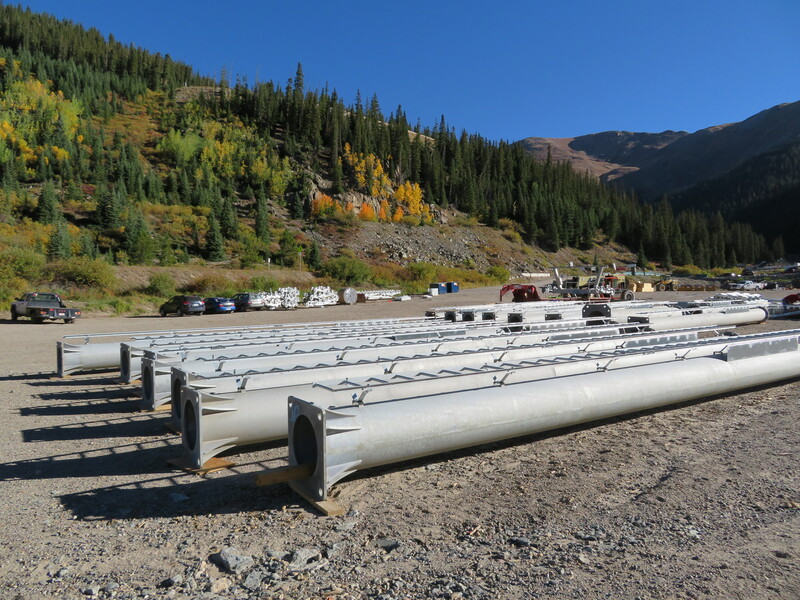 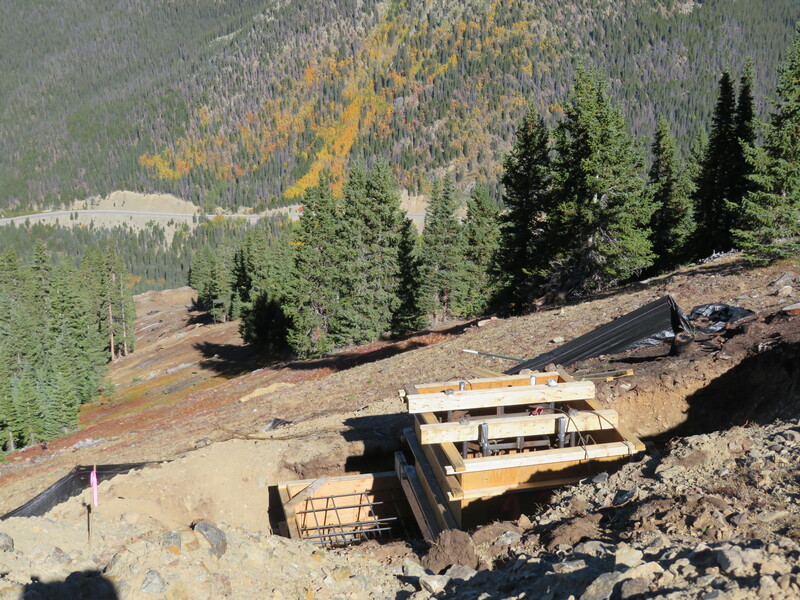 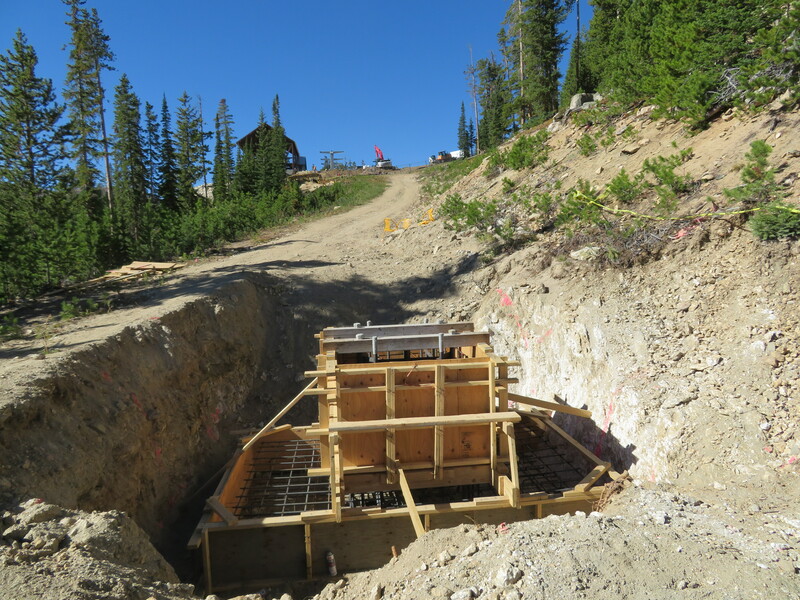 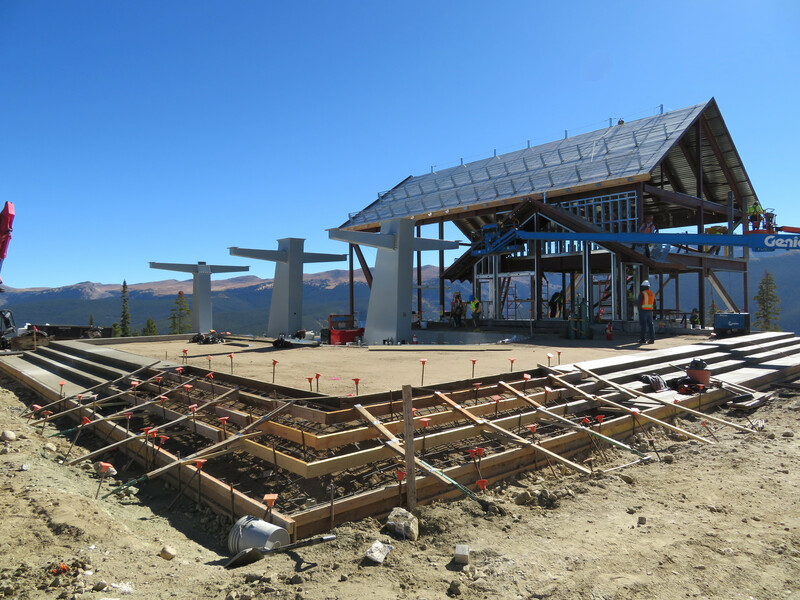 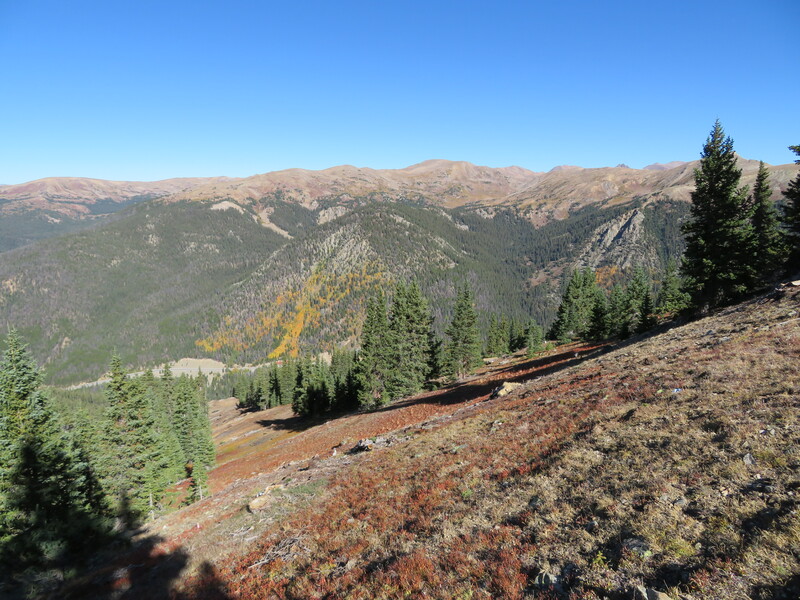 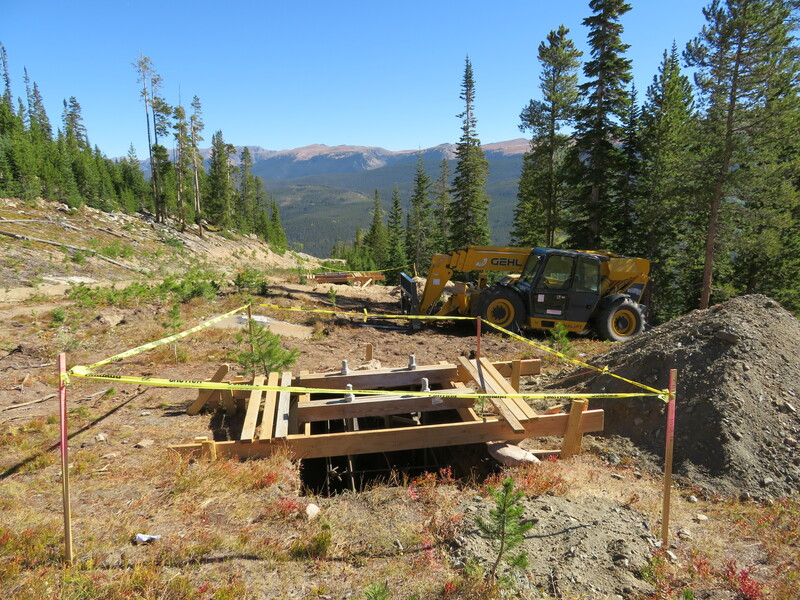 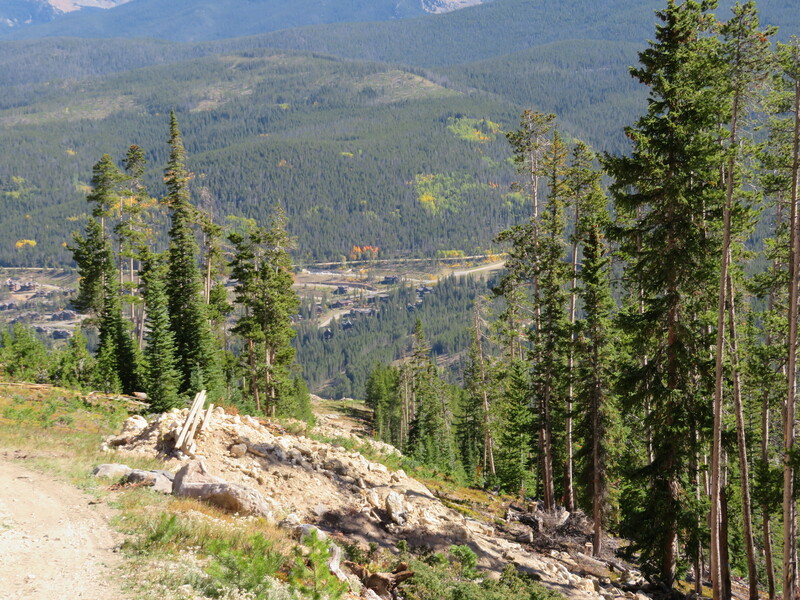 Winter Park guests will soon enjoy direct gondola access to Sunspot in place of the Zephyr chairlift. 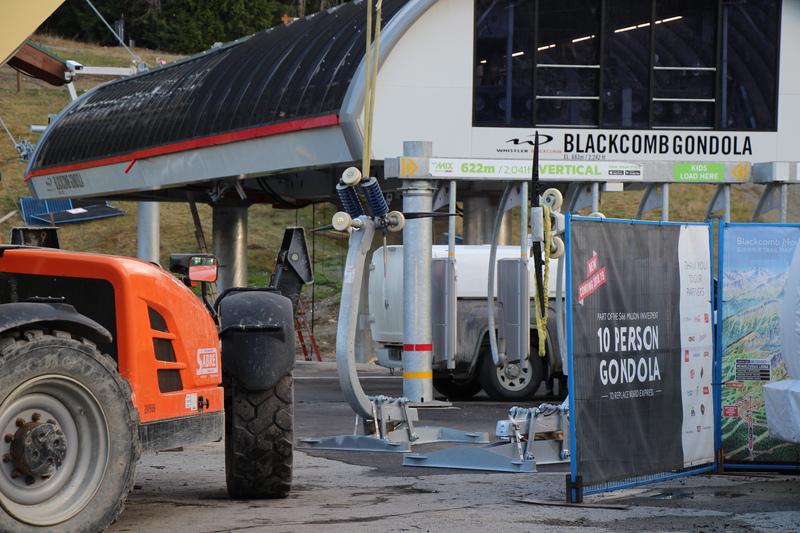 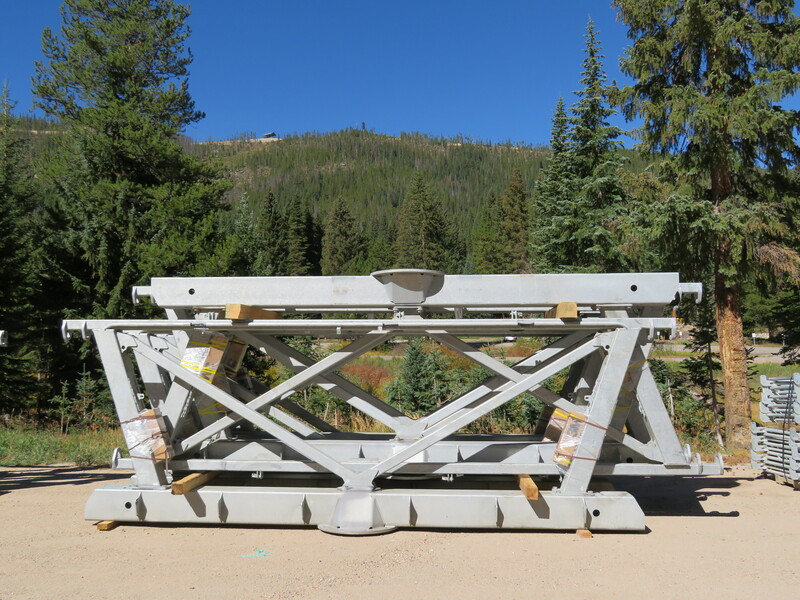 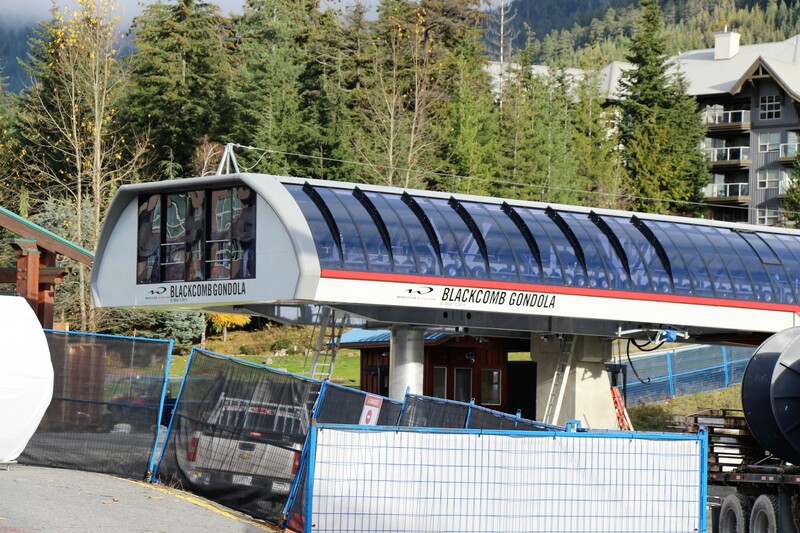 When holiday crowds catch a Cabriolet to The Village at Winter Park Resort this year, the second lift they’ll see is the resort’s first true gondola. 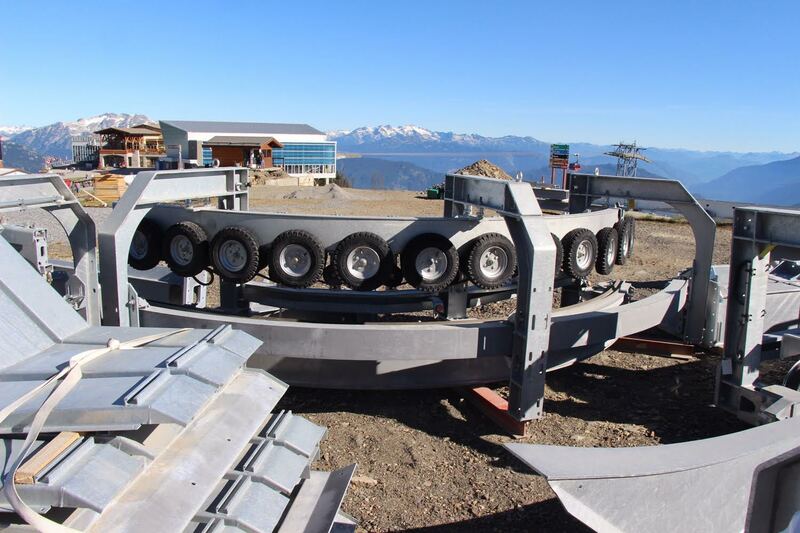 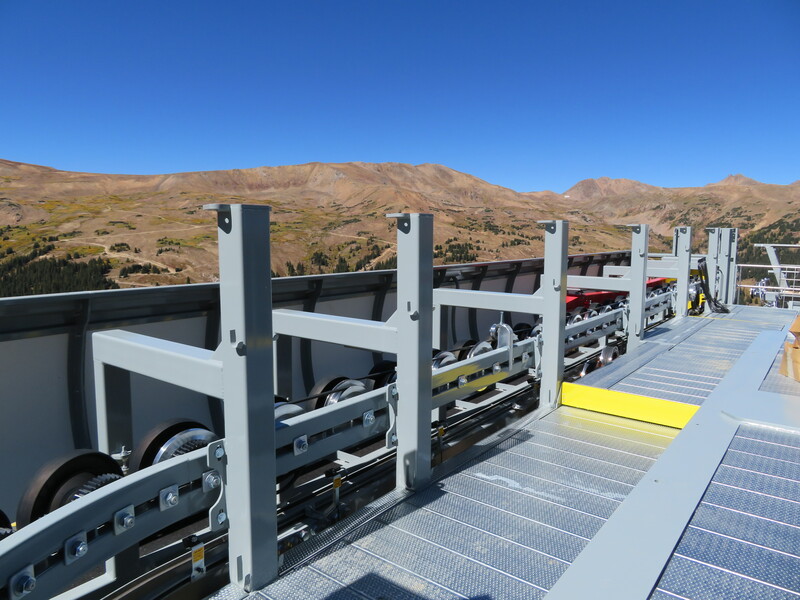 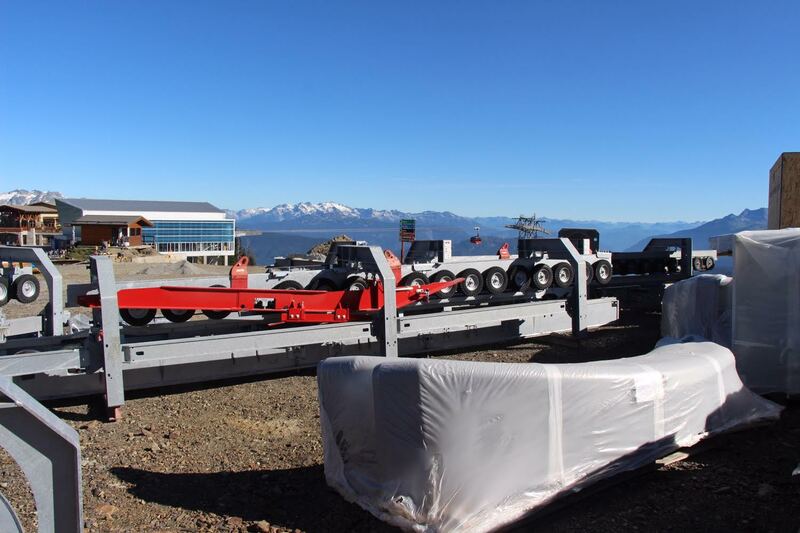 Capable of hauling 3,600 skiers per hour out of the base area, the new Zephyr lift replaces a 1990 high-speed quad that could do only 2,600 in a perfect hour. 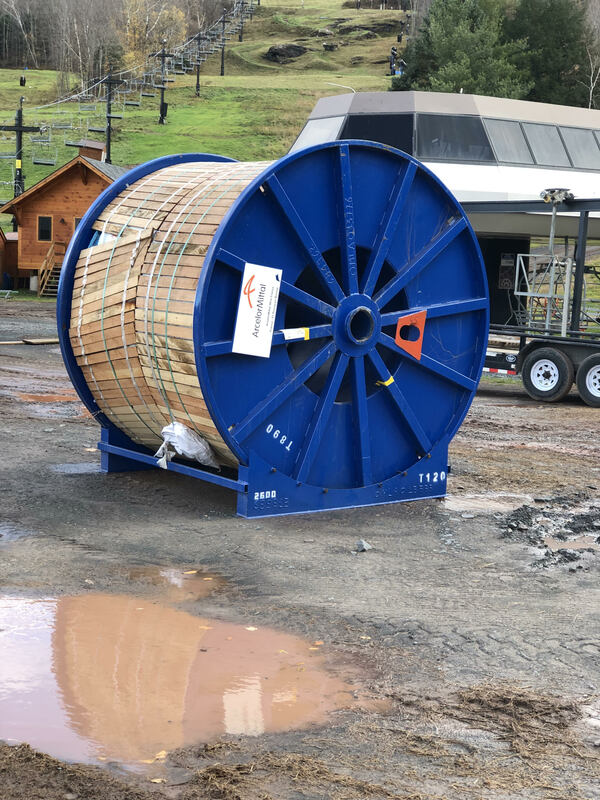 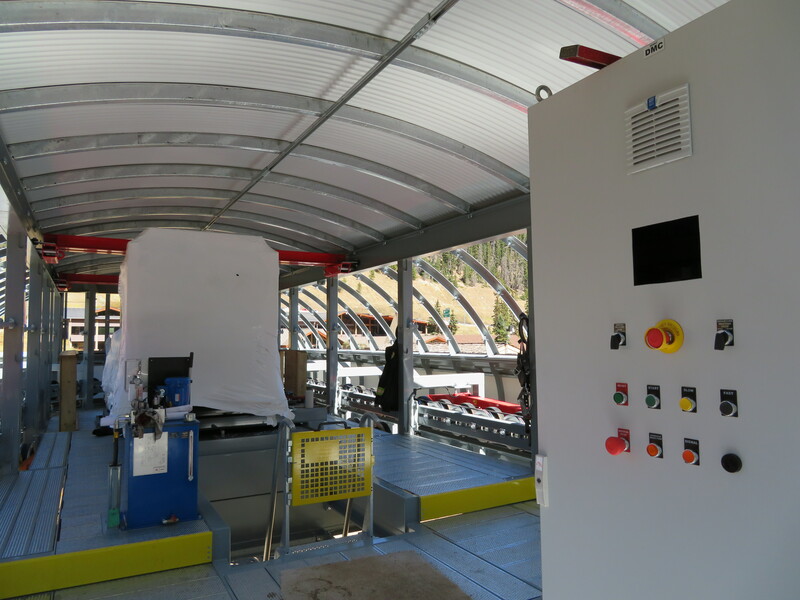 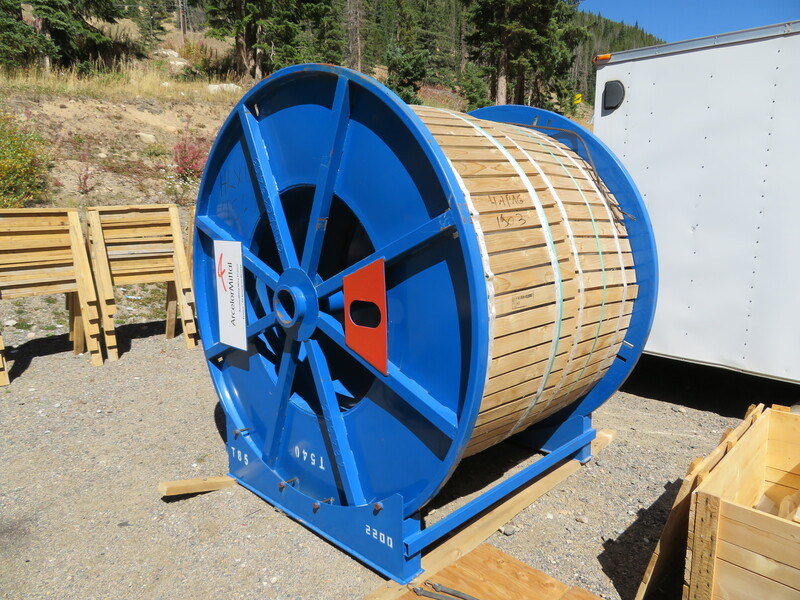 Announced in March, the Leitner-Poma system will be similar to Vail’s Gondola One but with something totally new to the North American market: DirectDrive. 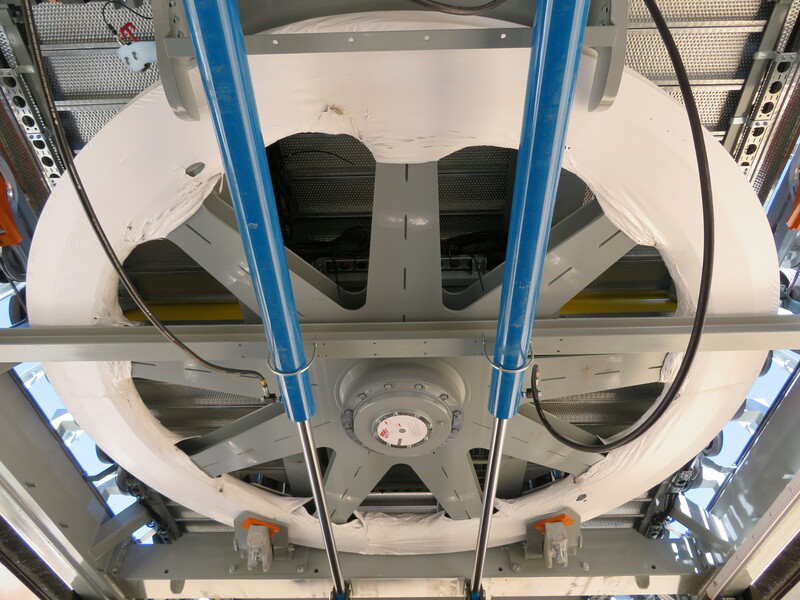 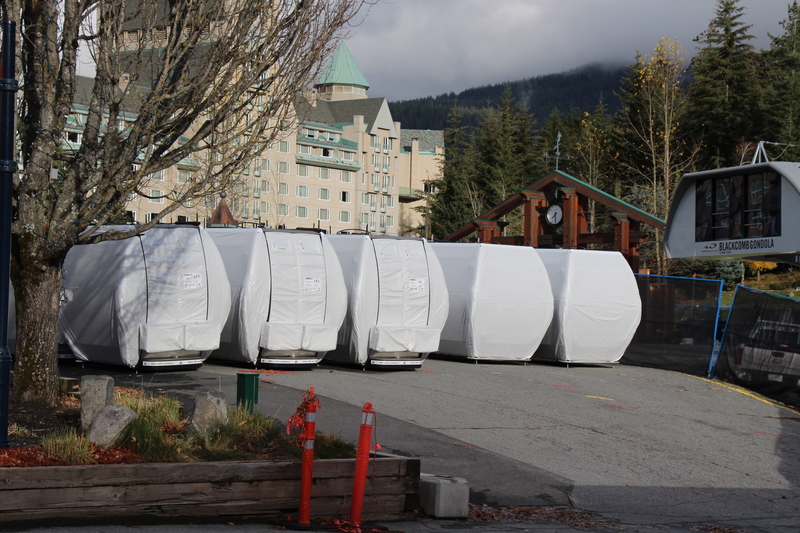 Sigma is fabricating 79 ten passenger Diamond cabins with the fresh Winter Park logo unveiled on Monday. 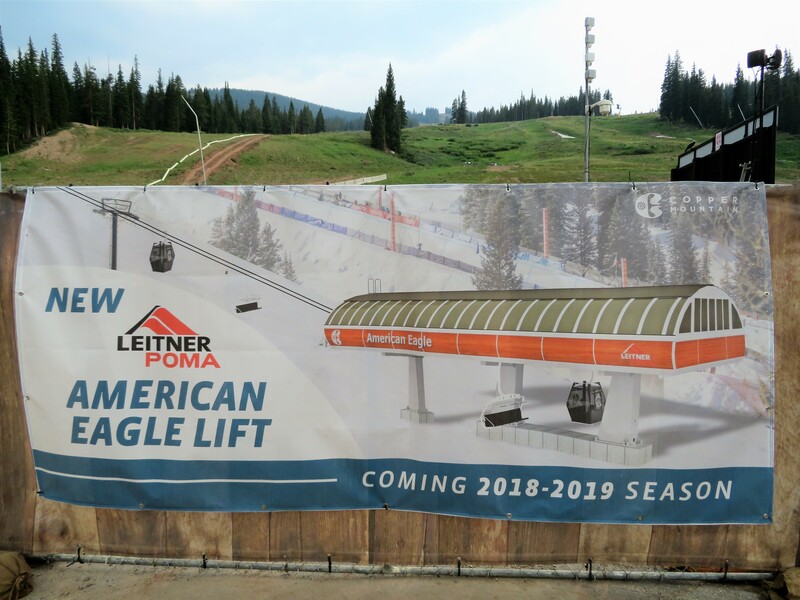 The $16 million gondola and new brand are just part of a $28.2 million capital drive this year in cooperation with Winter Park’s operator, Alterra Mountain Company. 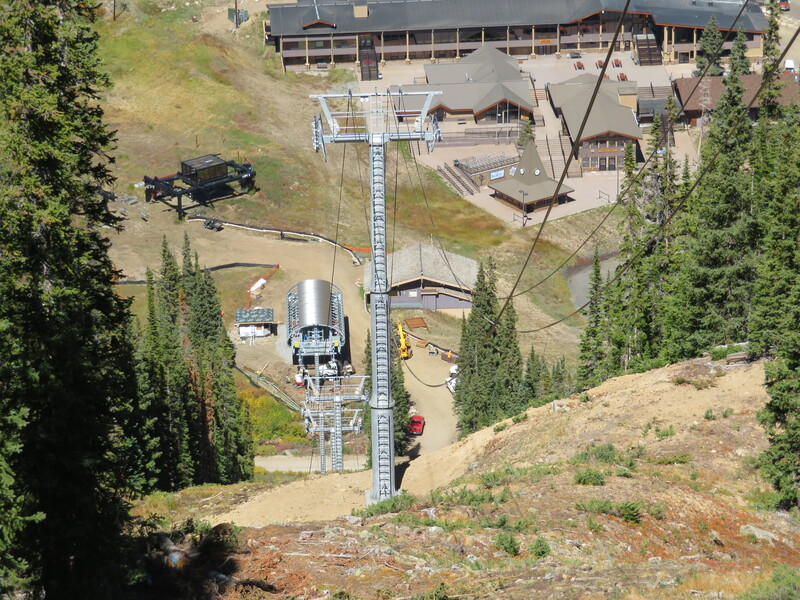 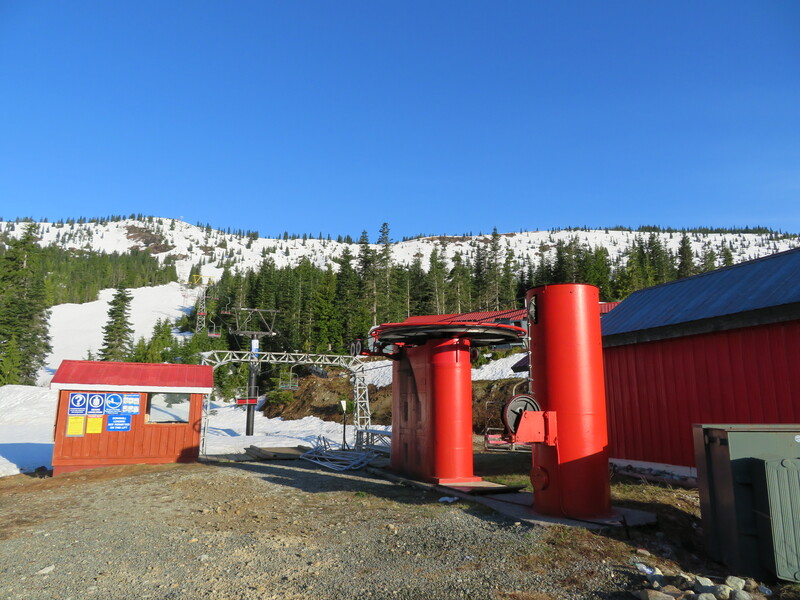 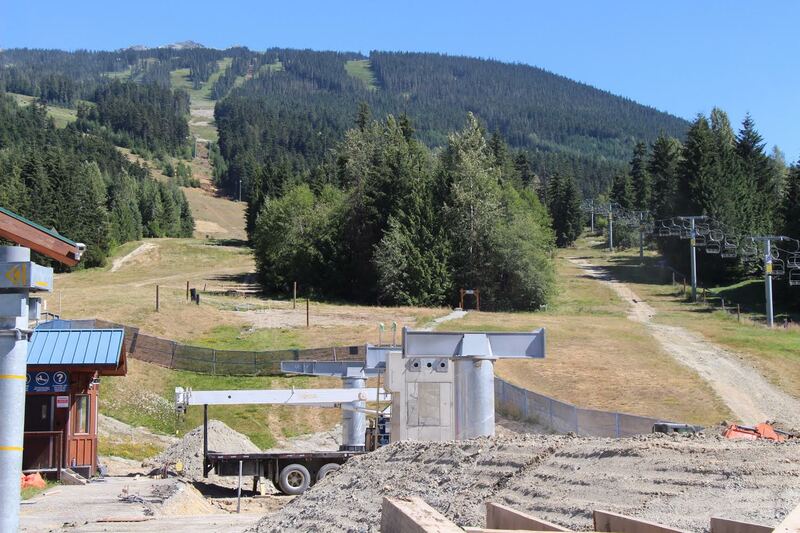 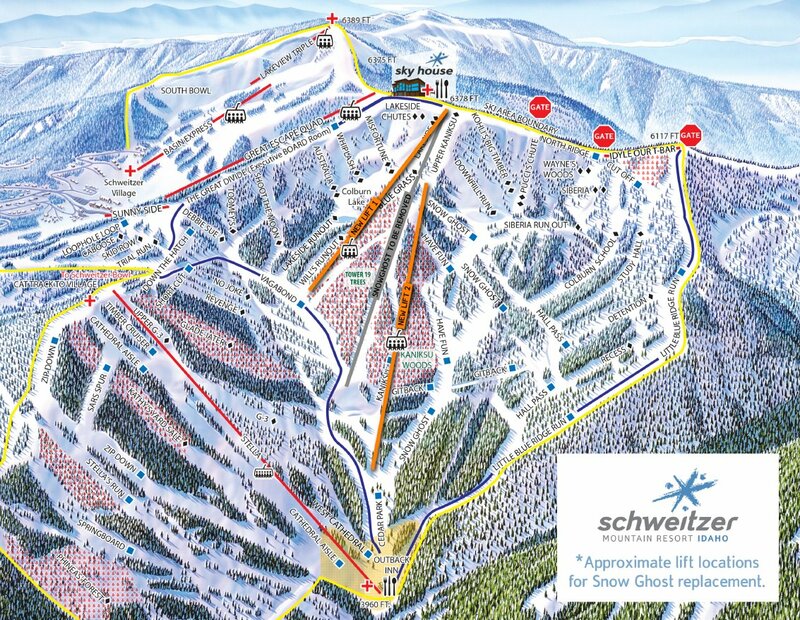 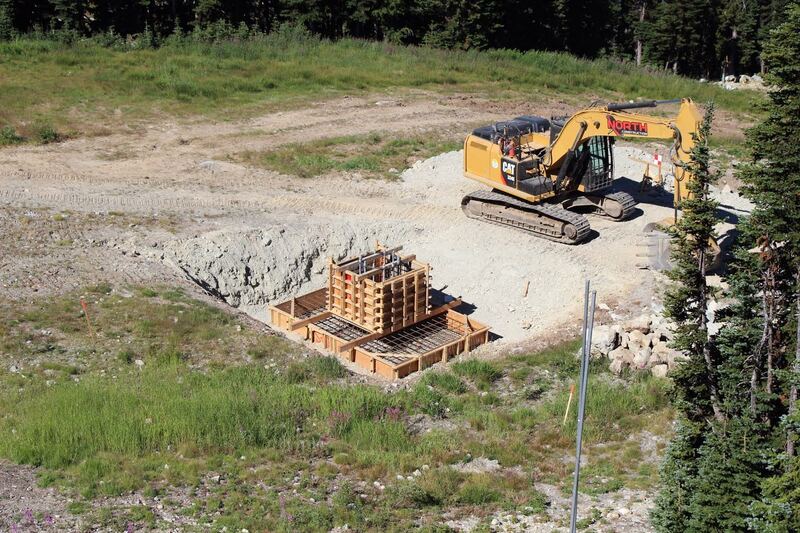 Amazingly for a resort of WP’s size, this is the first new lift in ten years. 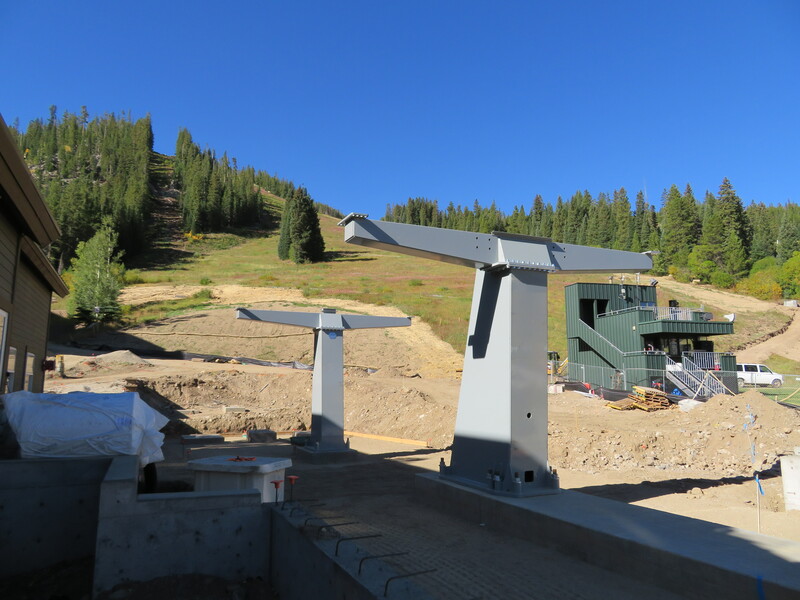 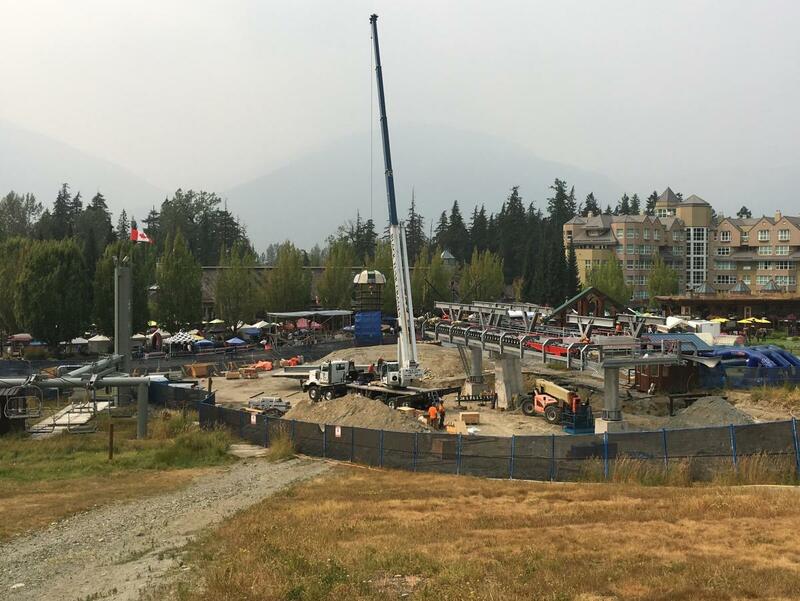 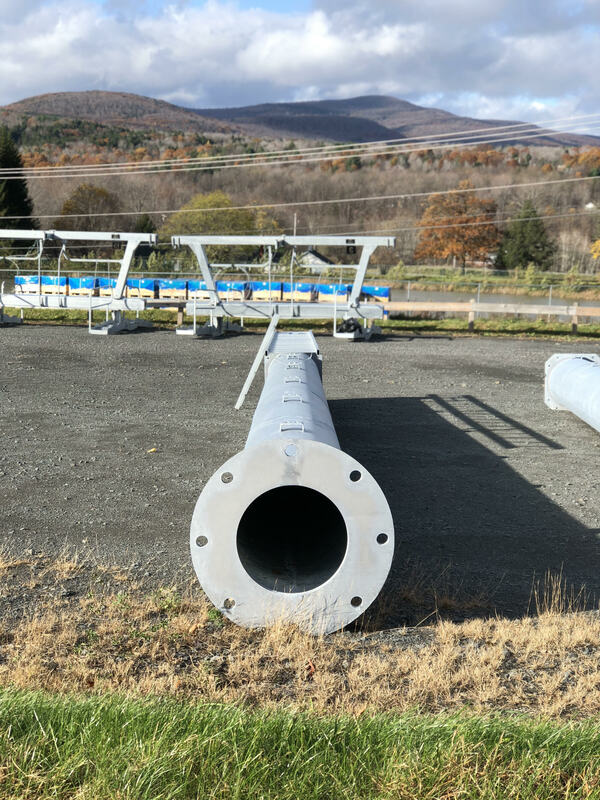 Snowmaking is also seeing mega upgrades and a new heated village plaza will lead seamlessly to the bottom gondola terminal. 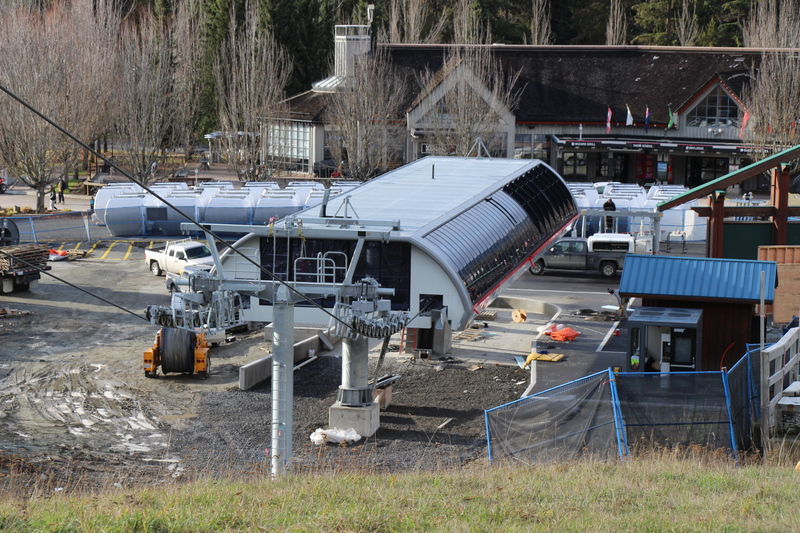 The old Zephyr had 20 four passenger cabins used for restaurant access at night but the new version will be fully ADA accessible and operate day and night.